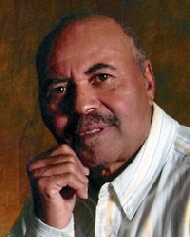 Wilfred Louis Milburn, Sr. obituary. Carnes Funeral Home. Our beloved, Wilfred Louis Milburn, Sr. received his heavenly wings on Tuesday, August 26, 2015. Born December 16, 1938, he was the oldest of seven children born to Rodney Milburn, Sr. and Mary Louise Tyler - Milburn. He was a member of the First Union Baptist Church. He retired from Todd Shipyard after 25 years of service. He went on to work for an additional 20 years with the Quinn family. He is preceded in death by his parents, grandson, Brock Milburn and brother Rodney Milburn, Jr.
Wilfred leaves to cherish his memories a devoted wife of 55 years, Mary Jo Milburn of Galveston, Tx., two daughters Vonovia Long (Terry) of Fayetteville, NC., Amber Torres-Milburn of Webster., Tx, four sons, Wilfred Milburn, Jr., (Emily) of Galveston, Tx., Troy Milburn (Michelle) of Cedar Park, Tx., Printez Milburn (Maggie) of Galveston, Tx., and Petrick (Nickie) of Texas City, Tx., twenty - one grandchildren, nine great grandchildren and a host of nieces and nephews. Also left to cherish his memories, his devoted honorary son, Micheal Walker and a very loving nephew, Percy Perry. Visitation will be held on Monday, August 31, 2015 at Carnes Brothers Funeral Home in Galveston from 10 A.M. to 11 P.M. Funeral Service will be held at First Union Baptist Church in Galveston at 12 P.M. Interment to follow at Lakeview Cemetery in Galveston.